I have two boys, 14 and 17. I travel with them, my husband, and my Mom. Between the five of us, we deal with: autism, ADHD, SPD, EDS, anxiety, fibromyalgia, limited mobility, limited vision, uncommon food allergies, insulin-dependent diabetes, and ESRD requiring dialysis. We once visited DL with 1 ECV, 2 wheelchairs and a service dog. So, I have a lot of personal experience with traveling with special needs. In the past 10 years, we have traveled all over the country. My kids have been to about 40 National Park sites. We have been to DL, Universal Hollywood, Universal Orlando, Legoland CA, Sea World San Diego, Knott's Berry Farm, and Canada's Wonderland in Toronto. We are big theme park fans. Last summer, we went swimming with dolphins in the Florida Keys and snorkeling with manatees in Crystal River. My 17-year-old son and I just got back from a Spring Break trip to the Arctic Circle to see the Aurora Borealis. We have traveled by plane, car, RV, train, and cruise ship. 10 years ago I wasn't sure I could handle traveling with all of the various medical issues in the family. I worked with some specialists to plan and take our first really big trip, a cruise to Alaska. I realized that travel really was possible, with the right support. I would love to be able to help other families travel, and especially experience the magic of Disney. IF REQUESTING A QUOTE PLEASE REMEMBER TO INDICATE ann littell IN THE "HOW DID YOU HEAR ABOUT MAGICAL PARTNERS TRAVEL?" PORTION OF THE QUOTE REQUEST. 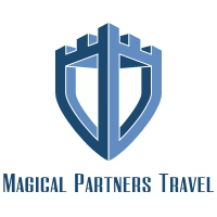 MPT LLC., Magical Partners Travel, MPT² Travel are not affiliated with, maintained by, or in any way officially connected with the Walt Disney Travel Company or any of its business units. Walt Disney World & Disneyland are trademarks of The Walt Disney Company. All Disney character images some photographs, some sound clips presented within this site and our sister site are copyright © the Walt Disney Company. All other content ©2014 MPT LLC.